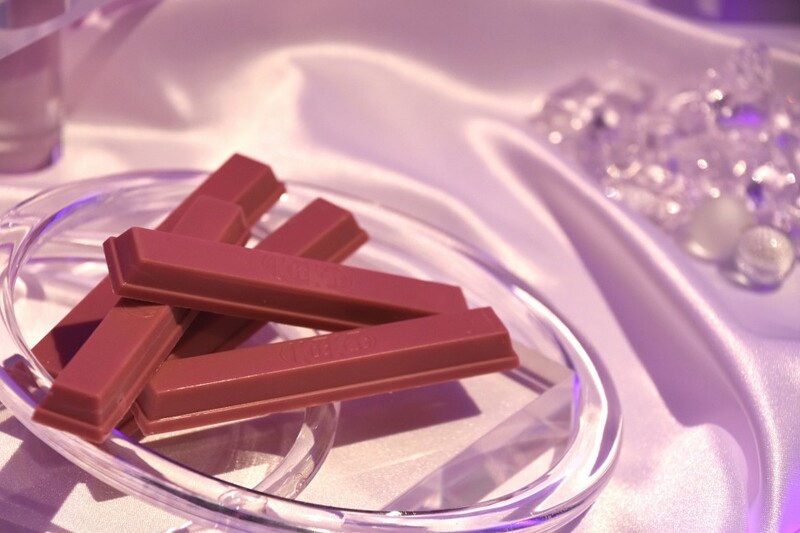 Nestlé Japan Ltd. unveiled its “Sublime Ruby KitKat,” the first in the world to commercialize the naturally pink “Ruby” chocolate at a ceremony in Tokyo, Thursday. The Sublime Ruby KitKat, which will go on sale at KitKat Chocolatory boutiques across Japan on Friday, is a further addition to Nestlé’s “Made-In-Japan” luxurious flavors of the famous snack that have been gaining popularity around the world. The Sublime Ruby KitKat employes the new Ruby chocolate that offers a taste to the palate that differs from the traditional bitter, milk, and white chocolate. Swiss chocolate maker Barry Callebaut spent over 10 years developing the chocolate which has been attracting strong interest from connoisseurs since its announcement in September last year. “It doesn’t taste bitter, it doesn’t taste milky, it doesn’t taste sweet. It tastes ruby.” said Bas Smit, Marketing Director at Barry Callebaut of the chocolate that is characterized by a natural pink color, and a flavor of berries, both achieved without the use of additives. Chef / patissier Yasumasa Takagi, who has been supervising new KitKat products since 2003, managed to encompass the new chocolate in KitKat form in a remarkably short time frame to see the Sublime Ruby hit stores in Japan ahead of Valentine’s Day. “Because we know that our consumer is always looking for new news. 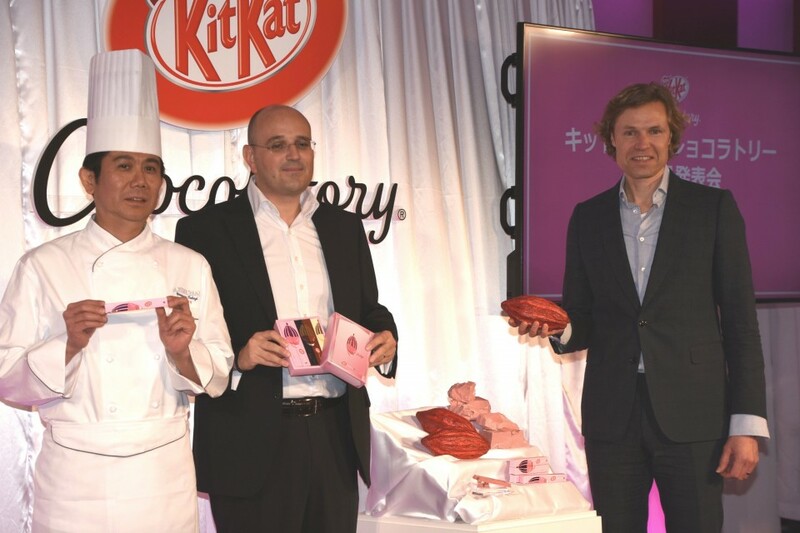 They want to try new textures, new things.” said Nestlé Japan’s Confectionary Business Group Managing Executive Officer Cédric Lacroix explaining the company’s decision to introduce the new KitKat to the Japanese market ahead of the Valentine’s Day and White Day season. Lacroix expressed his hopes, however, that the new KitKat would go beyond its use as a gesture of love and affection, and continue the company’s mission to encourage consumers to try new things. Units of the Sublime Ruby KitKat will retail at 400 yen and will be available in limited number from Jan. 19 - 25, 2018. A “Sublime Valentine’s Assort” box, including the Sublime Ruby, will go on sale from Feb. 1, 2018.